Old Library Theatre (OLT) invites submissions for its 8th Annual One Act Play Festival. This year’s festival will have four performances February 21, 22, 23 & 24, 2019. Auditions will be held in November 2018. All performances take place at George Frey Center for Performing Arts at 10-10 20th Street in Fair Lawn, NJ. Performance times are Thursdays, Fridays and Saturdays at 8pm, and Sundays at 2pm. All plays must be complete, one act works, running 15-30 minutes, with six or fewer characters. – No musicals, please. – Plays will be mounted with no budget, though they will be fully staged with necessary sound and lighting. – Please e-mail submissions or questions to info@oldlibrarytheatre.net. Playwrights who have not had plays produced in previous festivals will receive priority in selection. 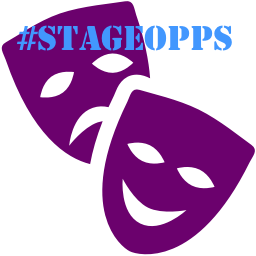 There is an extended deadline of September 20th for #StageOpps subscribers! Don't forget to email specialoppscode@gmail.com to get the special code for this month's Special Opportunity! Today, Ruthless Nightingale Theatre Company is launching their first official season. They are seeking 20-30 minute plays for their new work festival, The Nightingale Songs. The event will be held in October, and will mark the start of the company. Eligibility: Playwrights may submit from anywhere in the world, but submissions must be written in English. The festival will be produced in New York City, and Ruthless Nightingale is unable to provide monetary compensation for the playwright. However, actors, directors, and all other necessary personnel will be provided. Accepted playwrights are encouraged to attend the festival, if possible. We have been making it possible for anyone with a good play, and for a nominal production fee, to have their play fully produced at Manhattan Repertory Theatre in Midtown Manhattan on West 45th St. We supply the director, the cast, the rehearsal space, set and props, and we bring your play to life in Midtown Manhattan for 2 to 12 performances. Eligibility: We have produced over 25 plays as part of this new Program from playwrights across the country and around the World. Playwright does not need to be in attendance for rehearsals. Any script work can be done by email, Skype or phone. And we supply a video of each performance for future promotion and reference. The Valley Players is now accepting submissions for their 2014 Vermont Playwrights Award. Established in 1982 by the Valley Players, a community theater group in Waitsfield, Vermont, the intent of the award is to promote the theater arts and to encourage and support the creation of original plays by residents of Vermont, New Hampshire and Maine. Eligibility: The annual deadline for submission is February 1. Award submissions must be a full-length, non-musical play suitable for production by a community theater company. The contest is open only to residents of Vermont, New Hampshire andMaine. The play must not have been previously published or produced. The Theatre Company are now taking submissions for our 2018 Christmas season. The shows will tour into community based venues, Nursing and Residential Homes, Day Centres, and Sheltered Housing Venues, hospitals, social clubs. Therefore we are looking for hardworking, reliable, talented performers who are keen to take touring quality pantomimes and variety shows to the community over the Christmas period. Production Dates: Auditions will be late September/October Rehearsals 22nd November- 30th November Playing Dates-1st December-31st December (No shows 25th, 26th -half days on 24th /31st December) We work Monday to Saturday. Casting remaining roles in our upcoming season. Our New Voices Season consists of 4 plays performed across two popular London venues. The following castings are for the remaining roles of Retail Therapy and The Jailer's Daughter. RETAIL THERAPY: A farcical comedy about the 'joys' and realities or working in a corner shop in Yorkshire. Think Victoria Wood meets Faulty Towers THE JAILER'S DAUGHTER (working title) A modern twist on Shakespeare's Two Noble Kinsmen, focusing on the jailer's daughter. Think Black Mirror. Kean University and Premiere Stages are seeking a Costume Shop Manager. Under the supervision of the Kean Theatre Conservatory Costume Designer, assist with the build of all productions and oversee costume shop producing 4 productions for the Department of Theatre and 2-3 productions for Premiere Stages, the Equity theatre on campus. We have a small staff and this is a hands-on position; a strong costume technician is required. Eligibility: Actively participate in the cutting, draping, stitching, pulling, fitting and strike of costume elements and for 7 shows on 3 stages within budgets and deadlines. Coordinate fittings and production workflow. Assist in the training of student staff/crews as needed. Supervise costume shop student staff/crews, occasional over hire, and summer intern. Care, laundering, and maintenance of show clothes, wigs, costume accessories, quick changes. Maintain shop inventory of costumes, supplies, fabrics, etc. and coordinate loans and rentals. Manage costume shop equipment, repairs, and maintenance. Supplemental costume design work may also be offered, but is not guaranteed. Attend production and planning meetings as needed. Assist with University functions and special events as needed. Eligibility: Coordinates with Production Management to assure that each production is installed on time and within budget. • Collaborates closely with Production Manager, Master Electrician, Scenic Artist, Props Master for safe, cost-efficient and timely construction, load-in, and strike of each production. • Monitors other department heads to ensure scheduling of stage time, needs concerning construction, and modifications needed to help any other department. • Coordinates maintenance of scene shop and some theatre facility as required. • Ensures that all shop personnel are trained in the proper use and maintenance of all power tools and mechanics necessary for daily use in the shop. • Oversees the Inventory and maintenance of all stock scenery, soft goods, and saved scenic units. • Ensures inventory of construction materials, hardware, and expendables needed for each production as well as yearly upkeep for the scene shop. • Respond in a timely manner to all e-mails and phone calls requiring technical assistance. • Basic understanding of Lighting, Sound and Projection requirements. • Engineer and develop any mechanical and/or automated scenic elements for ETC stage productions or outside builds as required. The 6th annual ME Film Festival will showcase filmmaking talents from more than 40 countries over six days. Located in the heart of central Georgia, the ME Film Festival sets itself apart by creating an intimate atmosphere between other filmmakers and industry professionals, fostering unique and worthwhile networking opportunities you’re unlikely to receive anywhere else. The industry panels we offer are wide-ranging, providing experienced insight into craft building, crowdfunding, and social issues in the film industry. 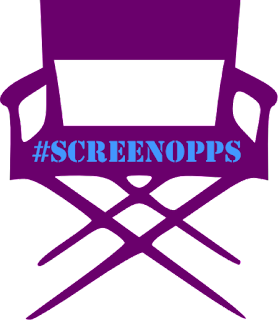 Past panelist have included actors Scott Takeda (Gone Girl, Everything Must Go) and April Billingsley (The Walking Dead, The Vampire Diaries), industry Executive John Heinsen (VP of New Media, Producers Guild of America), and writer Jesse Zwick (Parenthood, About Alex). Our keynote speakers have included Academy Award Nominated producers Cathleen Sutherland (Boyhood) and Rachel Winters (Dallas Buyers Club). The ME Film Festival is open to seasoned veterans and first-time filmmakers alike, as we curate only the best stories from hundreds of submissions. Our categories include drama, comedy, sci-fi, fantasy, horror and documentary, as well as short and feature length screenwriting competitions, with winners honored at our red carpet award ceremony. There is a 40% discount off the submission fee for #ScreenOpps subscribers! Don't forget to email specialoppscode@gmail.com to get the special code for this month's Special Opportunity! The International Les Femmes Underground is a film festival centred on the subversive, unique, and innovative. LEFUFF, showcases artists from all walks of life creating work which redefines the manner in which women are represented in mainstream cinema. Making its debut in 2016, Les Femmes Underground is premiering in Los Angeles as the first ever traveling women’s underground film festival. Les Femmes Underground was created as a response to the decline of feminist icons and role models in the media. As feminists, we believe it is our responsibility to empower new generations of young women to generate work which breaks away from society’s gendered roles. Les Femmes Underground seeks to premier first time under-represented emerging feminist film-makers and artists. Eligibility: Films must be produced, directed, edited or written by a woman. Films by men are accepted but they must be about women's social, economical, geographical, political or health issues. LEFUFF reserves the right to determine whether a film qualifies for this exception. All non-English language films must have English subtitles or dubbed in English. First and second time directors encouraged. Productions must be independently produced, with the maker retaining complete editorial control and copyright. Productions must have been completed after January 1, 2011, and must not have been publicly screened in Los Angeles. Selected works can be screened from 16mm or Quicktime file. We are Women Who Write in Film and our goal is to be the world’s foremost screenwriting competition for women. We want to support female writers and producers of all shapes and sizes, but we don’t just want to support female writers. We want to be a springboard for your success. We want to forge a festival that will discover and recognize the best emerging female talent and the most original female voices from around the world. We will go to the ends of the Earth to find the best new female talent and then do whatever it takes to put the top new female screenwriters firmly on the entertainment industry’s radar by designating them as finalists and winners in the Women Who Write in Film Screenwriting Competition. Eligibility: We only accept submissions electronically. There is no limit to the length of the scripts you submit and they can be in script or treatment form. There is no limit to the number of projects you may submit. Scripts must be written in English and can be in any film or television genre. Entrants are prohibited from contacting the judges during the competition. Entry fees are non refundable and contest is void where prohibited by law. Employees and family members of the film festival are not eligible. Entrants must be 18 years or older to enter the contest. The World of Women’s Cinema - WOW Film Fair Middle East is the first women’s short film fair that promotes and awards the talents of women directors, producers, writers, editors and cinematographers in the film industry internationally. It is an event that offers emerging and established filmmakers the opportunity to screen short works giving a thematic perspective of ... “seeing the world through the eyes of women”. Created by Women in Film and Television NSW, this is the first of its kind event in the Arab world. Committed to improving the status of women, both on and off the screen, the event aims to support and advance women working in film, TV and other related screen industries. Eligibility: Films of any completion date are eligible for submission. WOW Film Fair does not have any premiere requirements. However, the festival does take previous screenings and broadcasts into consideration when making its official selections, particularly when films have already screened in the GCC. Equinox Women’s Film Festival is a collection of films showcasing women. Our first year festival was an overwhelming success and we are excited for our 5th festival! We are hoping to achieve even greater success this year! We are selecting films that were directed, and/or written by women, and would like the films to be highlighting a woman's story. Equinox Women’s Film Festival is the first festival created in the Matanuska-Susitna Valley. The 5th annual Equinox will take place in The Glenn Massay Theater, our state of the art theater. Eligibility: Equinox accepts films and video of all lengths and genres: experimental, narrative, documentary, animation, and whatever else you can think of. We also accept pieces produced in any year. All submissions must be directed and or written by a women, preferably highlighting a woman’s story. All films must be under 40min in length. Animation film submission fee can be waived, contact us for more information. A teenage Asian-American fangirl gets the chance to meet the superstar of her dreams. This production will be a Senior Thesis film at Wesleyan University. Shoot Dates/Location: TBD (1-2 weekends in October/November, with potential rehearsal dates beforehand). Innocence tells the story of Kate, a young girl who has spent her entire life locked away in a room by her father, who through his own obsessions believes that is the only way he can properly keep her safe from the dangers of the outside world. The film delves into the psyche of Kate, and explores the mentality of an individual who has never had any contact with the outside world. Shoot Dates/Location: The shoot will take place on the 8th and 9th of September. The Production department Production Assistant (PA) plays a key role in the Production Team. The role requires sustained energy, time management, and multitasking. Over the course of consecutive days for two and a half weeks, the PA’s responsibilities cover simultaneous screenings and special events within the festival. The PA will work closely with the Production Coordinator to provide production support to all NYFF teams. Eligibility: Assisting the Production Coordinator with delivery and inventory tracking of all partnership, special event, and marketing items; Assisting in the tracking of the delivery and venue dispatching timelines; Supporting the Production Coordinator with storage management; Supporting and assisting with any red carpet/production builds, stagehand operations, and front of house show flows at various festival venues; Assisting the Production Coordinator in all load in, load out and production setup of all festival venues; Providing production support to all red carpet activations and venue operational flows; Check in/ check out and briefing of Production volunteers; Maintaining walkie sign in and sign out; • Preparing venue packets and festival reference materials for onsite use; Representing the Production team at meetings where required; Adhere to NYFF, FSLC, and LCPA venue policies and restrictions; • May be asked to assist with merchandise inventory and movement between and within festival venues; Supports the general deliverables of the Operations and Production team; Will comply with FSLC internal policies and procedures; Complete mandatory post-festival exit interview and wrap questionnaire with line manager. Slate Studios is seeking an energetic and self motivated Studio Assistant responsible for supporting studio operations, equipment handling, rental and studio maintenance on the night crew in a high traffic studio and rental facility. The Studio Assistant will work in coordination with the Studio Manager in ensuring standard operating practices are being performed.